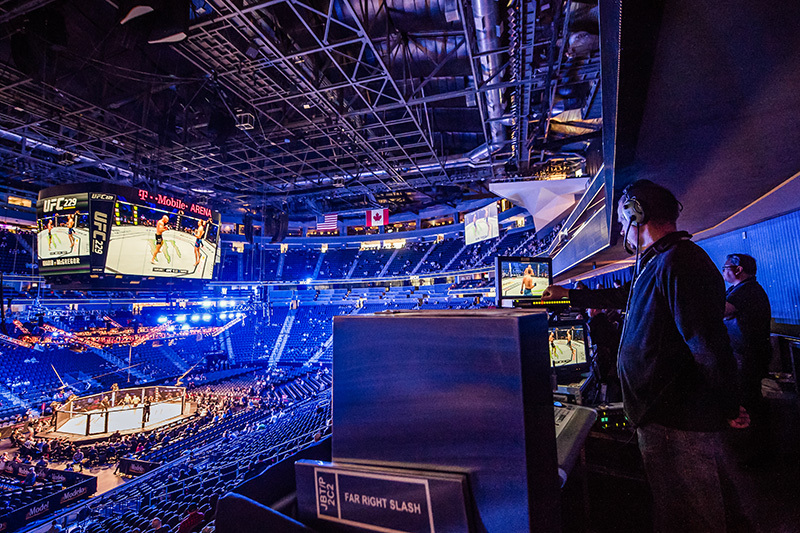 he three-time Emmy award-winning Frank Gatto & Associates, based in Boca Raton, FL have built a positive name over the past 38 years in the field of sports lighting. President and owner Frank Gatto, who was a full-time lighting director with television station WTVJ in Miami beginning in 1970, incorporated Frank Gatto & Associates (FGA) in 1980, operating it part-time while still working at WTVJ. In 1987, Gatto left the station and concentrated all his attention on building FGA. 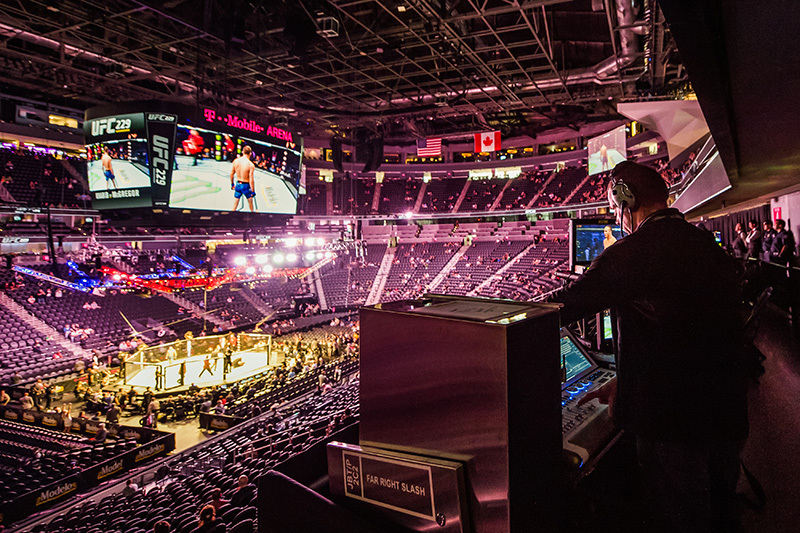 Among his first clients was a new, small cable sports network, ESPN, and Gatto started lighting kickboxing for them. Another early client was the USA network; they hired him to light USA’s Tuesday Night Fights. 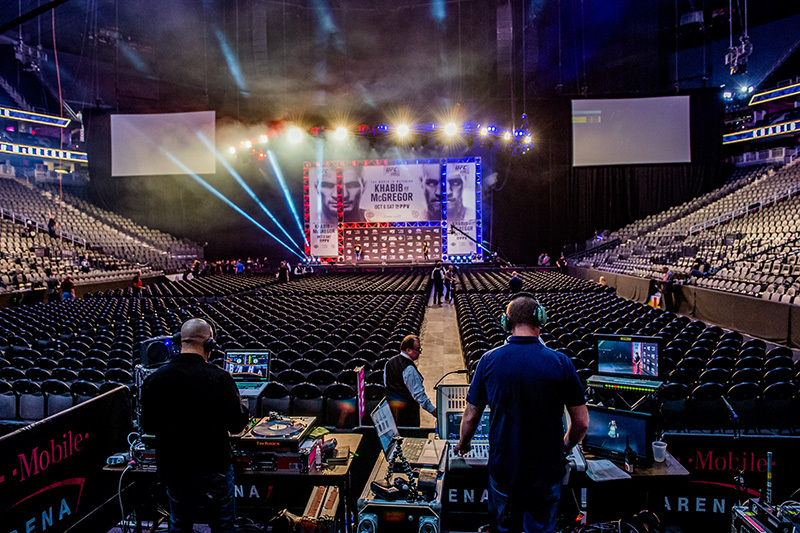 Over the years, FGA specialized in on-location productions for sporting events all over the world. 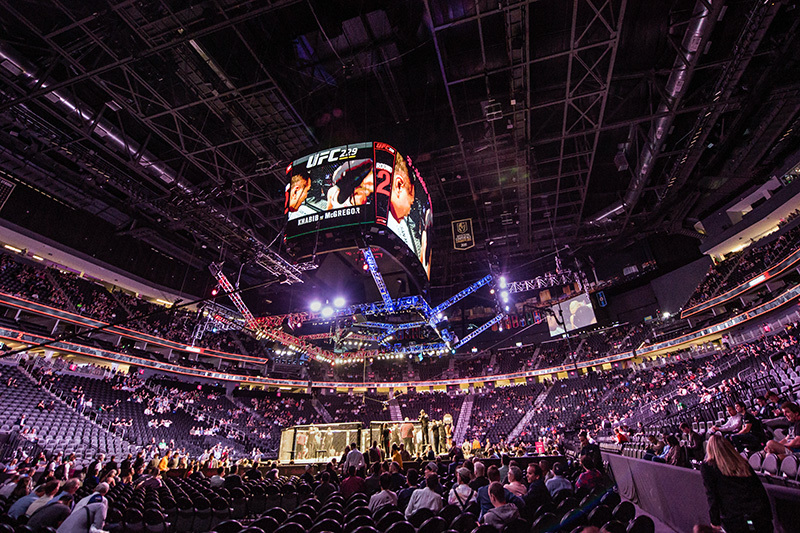 As ESPN grew into a televised sports leader, FGA lit many of the network’s location shows. 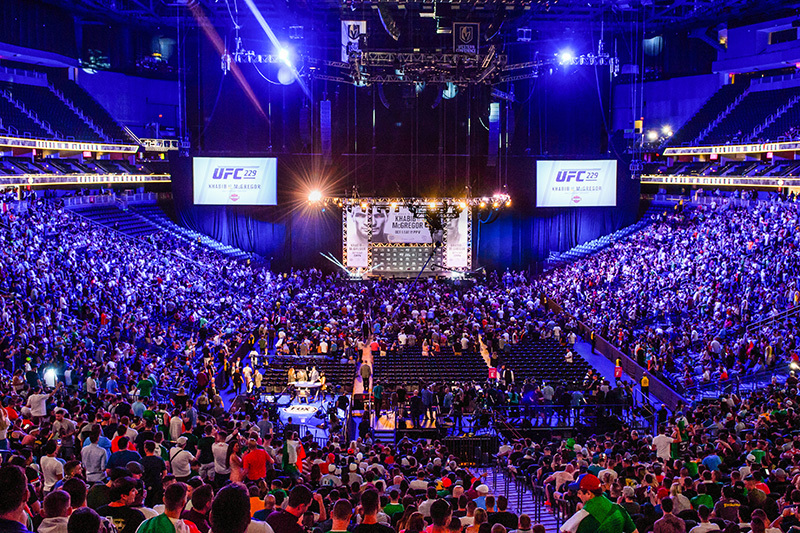 Among the other networks that the firm has worked with are: Showtime, Fox, Univision, and Major League Baseball. 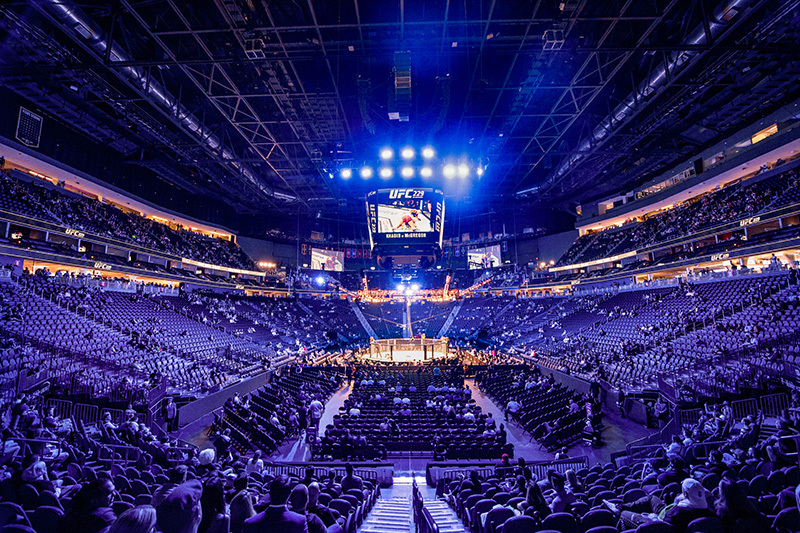 Though FGA has a strong reputation in the fight worlds of boxing and mixed martial arts, they have worked on a wide range of sporting events, including, baseball, soccer, football, golf, hockey, billiards, and cricket. 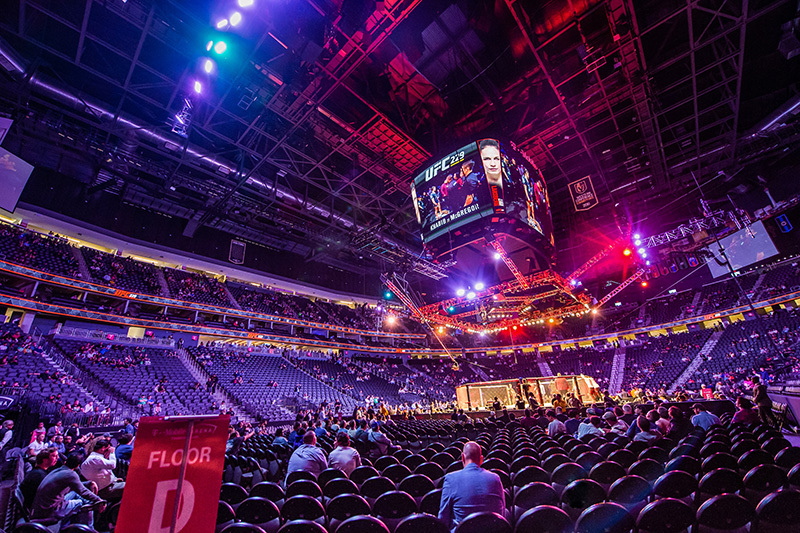 Some of their marquee sporting events projects in the FGA portfolio are the Ultimate Fighting Championship, Showtime Boxing, Men’s and Women’s U.S. Open Golf, MLB World Series, Professional Fighters League and ESPN College GameDay, to name a few. In addition to sports, the firm also lights corporate events and political debates; in fact, Gatto has lit every president since Richard Nixon. 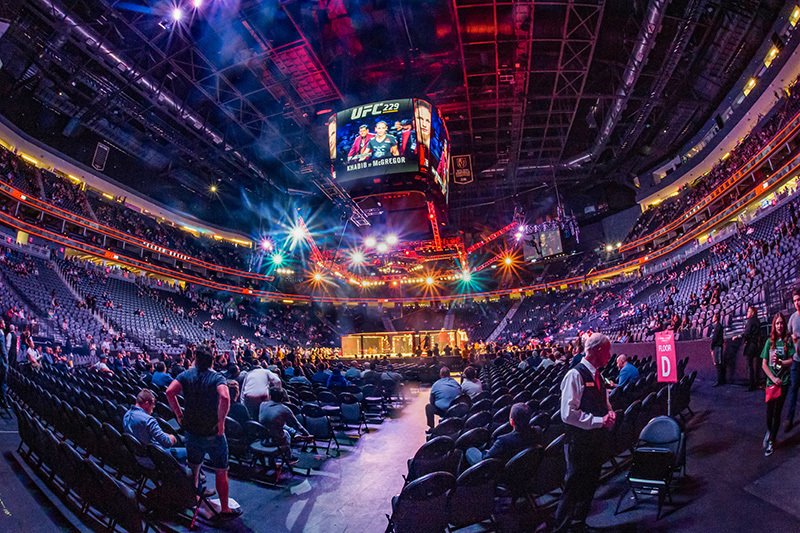 In 2018, Frank Gatto & Associates was named Best TV Lighting Specialists—the Americas, as a part of U.K.-based LUX Life magazine’s Global Entertainment Awards. 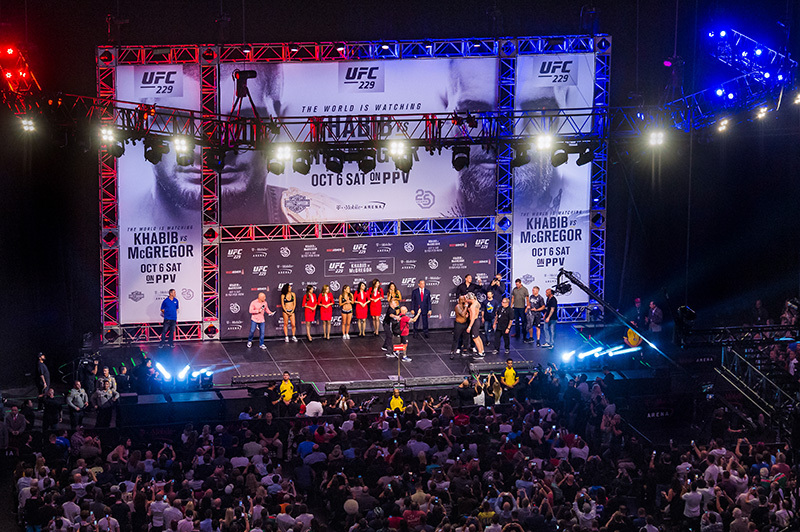 This past October, FGA’s long-time client, the Ultimate Fighting Championship (UFC) had the firm light the fight cards that made up the mixed martial arts event, UFC 229, as well as the events that surrounded the fights like the weigh-in. 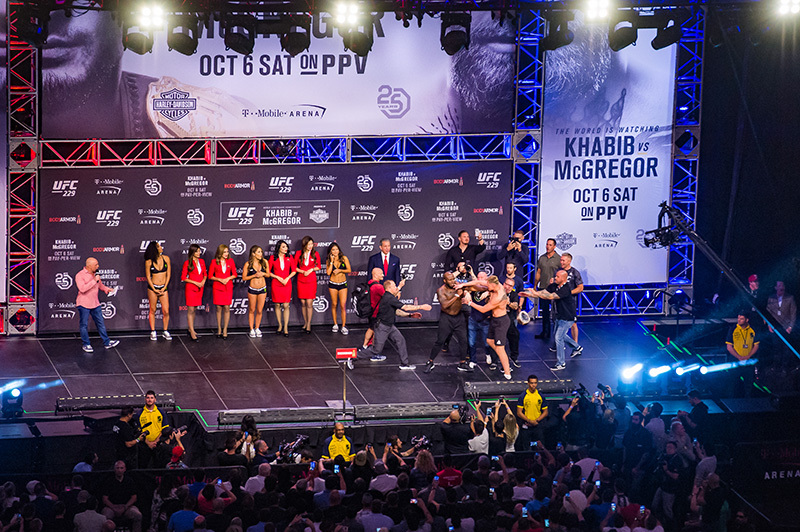 It would include the highly anticipated, and highly contentious, Khabib Nurmagomedov versus Conor McGregor fight. 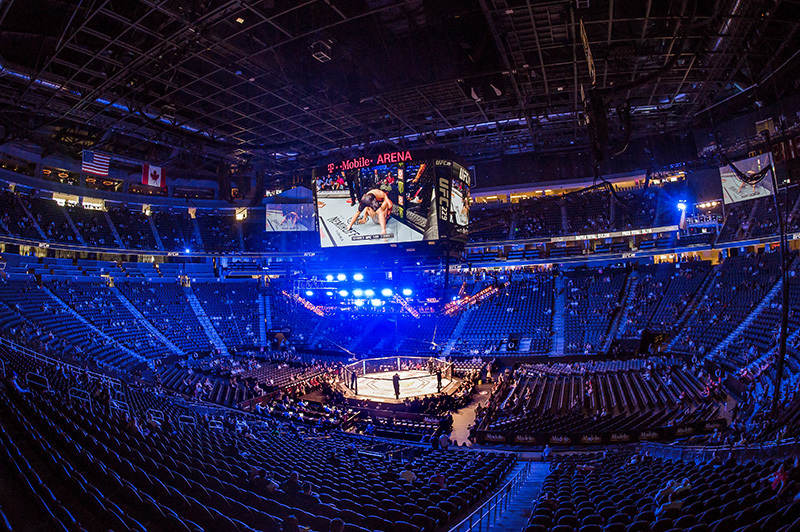 T-Mobile Arena in Las Vegas, NV was sold out on Oct. 6, 2018 and the event set the record for the highest-ever attendance and gate for mixed martial arts in Nevada. 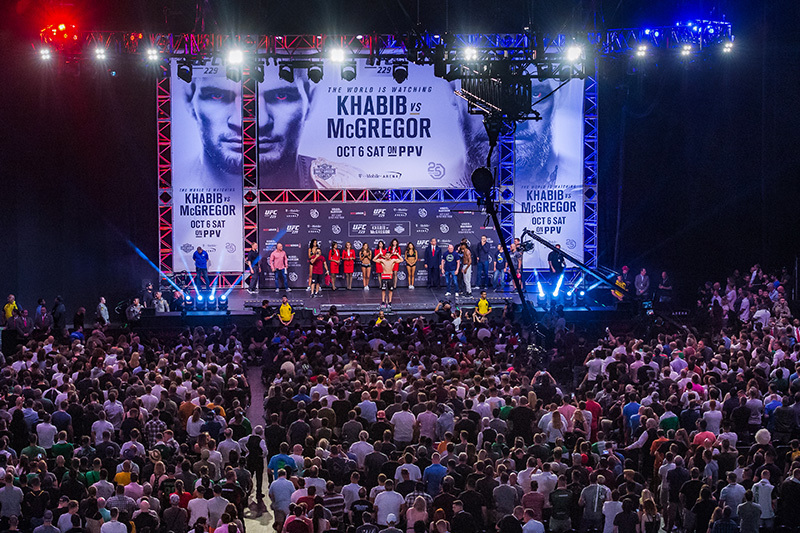 Even more people watched on Pay-Per-View around the world. 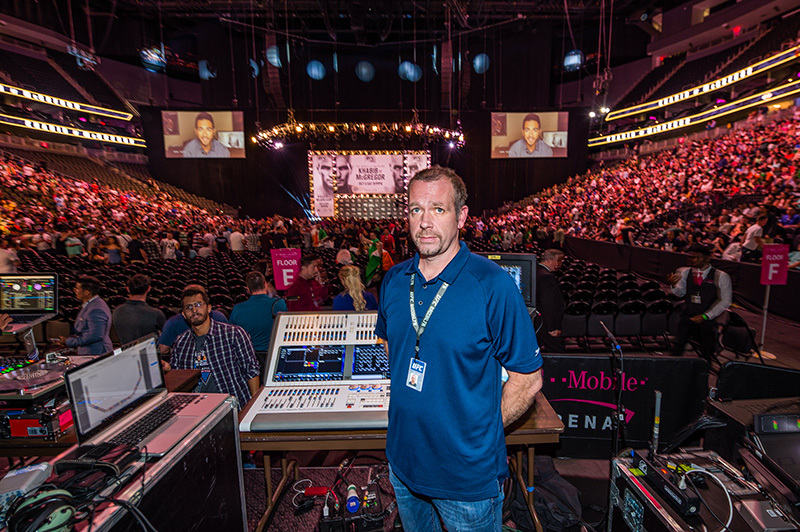 In support of Frank Gatto’s lighting design, Jason Eible, who has been with FGA since 1997, was on site as the lighting director for UFC 229. For more on Frank Gatto & Associates, go to www.frankgattolighting.com.